Tropical Storm Jongdari appeared much more organized in visible imagery from NASA's Terra satellite when passed over the Northwestern Pacific Ocean. Tropical Depression 15W strengthened into a tropical storm on July 24 at 5 p.m. EDT (2100 UTC) and was renamed "Jongdari." On July 25, the Moderate Resolution Imaging Spectroradiometer or MODIS instrument aboard NASA's Terra satellite obtained a visible image of Tropical Storm Jongdari. The storm appeared more organized with bands of thunderstorms wrapping into the center, and a thick band northeast of the center. Infrared satellite imagery also showed a consolidating system with deep convective banding wrapping into a defined low-level circulation center. Microwave imagery has already revealed an eye feature. 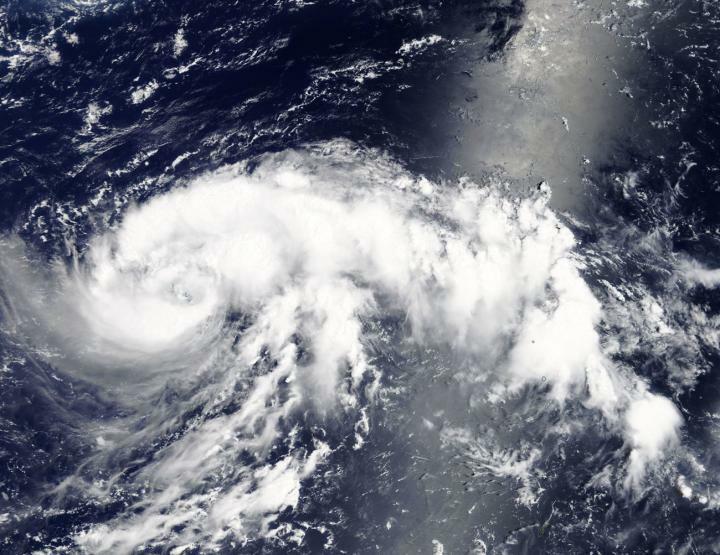 On July 25, 2018 at 11 a.m. EDT (1500 UTC) Tropical Storm Jongdari was located near 22.2 degrees north latitude and 138.7 degrees east longitude, about 268 miles north-northeast of Iwo To Island, Japan. It was moving to the north-northeast at 6 knots (6.9 mph/11.1 kph) and had maximum sustained winds near 45 knots (51.7 mph/83.3 kph). The Joint Typhoon Warning Center forecast noted that Jongdari will continue moving in a northerly direction and strengthen into a typhoon over the next couple of days. Jongdari is forecast to make landfall just south of Tokyo on July 28.